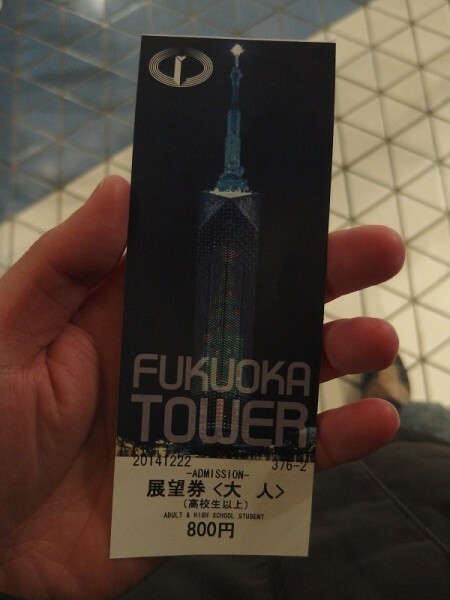 Fukuoka tower was built in 1989 and now, it’s well known as the tourist attraction in Fukuoka. 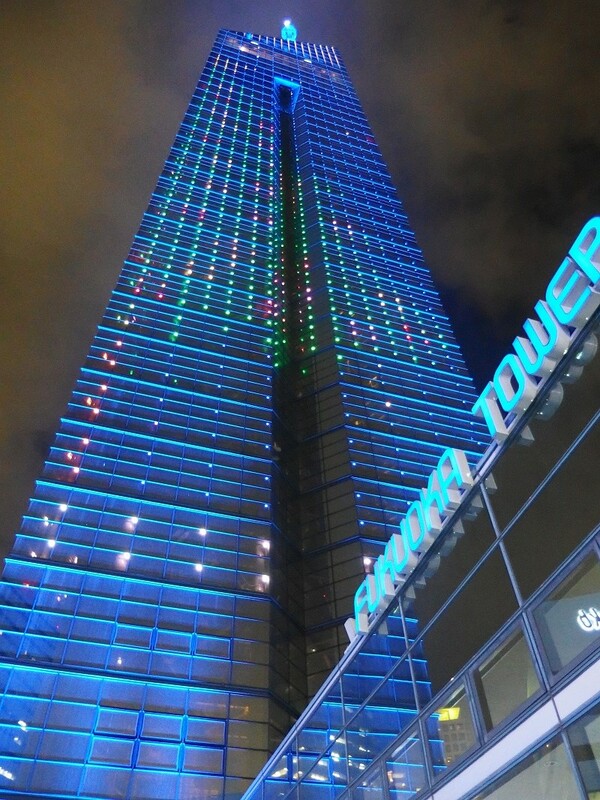 The height is 234 m and the appearance of tower is covered with 8000 sheets of half mirror. 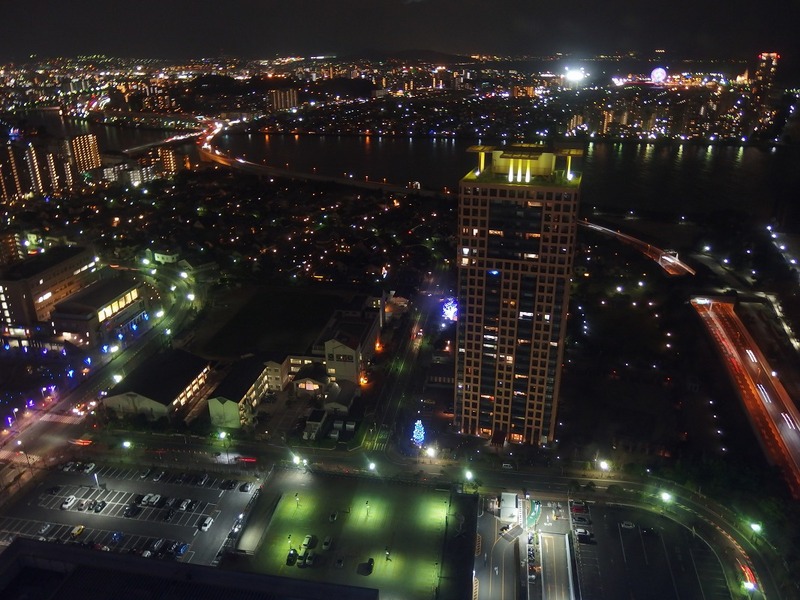 The elevator takes us to the top floor of the observation room, which is located at a height 123 m. It is said the tower gives us the best view of Fukuoka city. The tower is also a popular place among local youth. 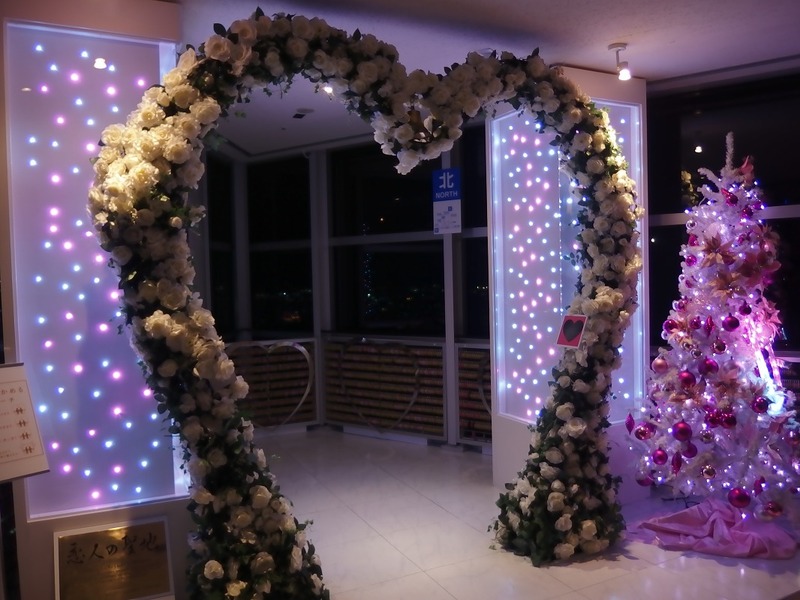 Every year, illumination is lighted up in Christmas and Tanabata (Tanabata is an annual event in Japan that takes place in July). 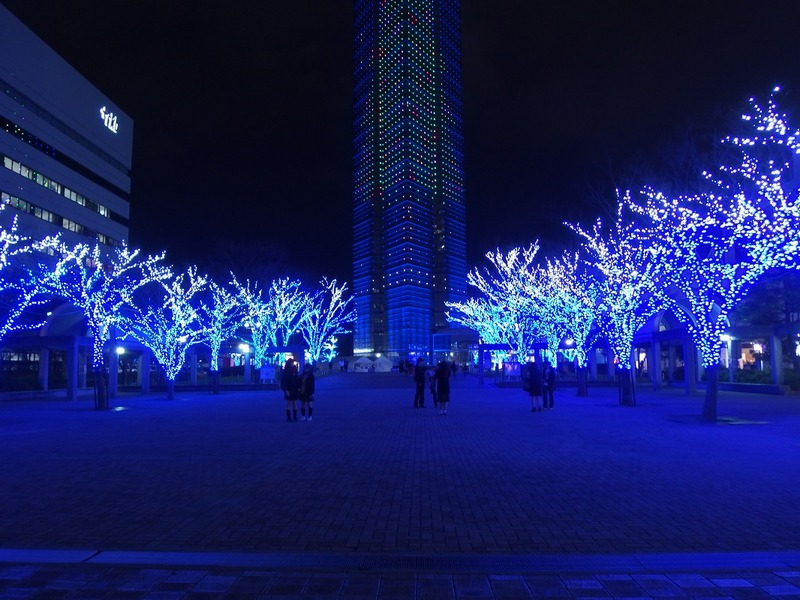 This time, I’m going to introduce Fukuoka tower about when I visited there at Christmas season in 2014. Arrived at the Fukuoka tower south entrance bus stop (福岡タワー南口). I could see the tower as soon as I got off a bus and began to walk. The photo at the square in front of the tower. 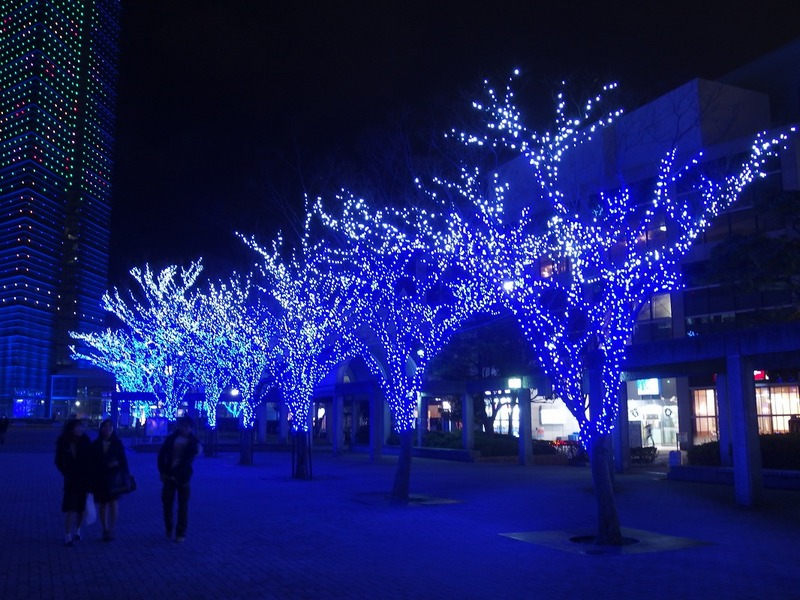 Trees of the square had been decorated with illumination. Several groups of young people were enjoying and chatting there. Tower entrance. There were some souvenir shops, convenience store, and a restaurant. 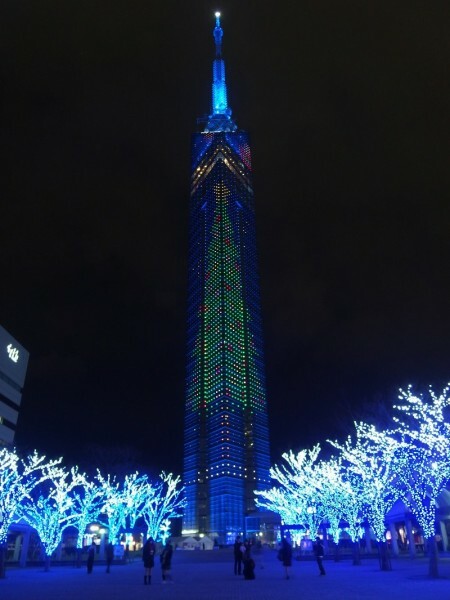 (On 4th floor, there is another restaurant that is located 120 meters above the ground). Regular price of ticket is 800 yen for an adult (High school students +), 500 yen for student and 200 yen for Child (under four). If there is something you can prove that you are a foreigner, ticket will be discounted to 640 yen, 400 yen, 160 yen, for each. 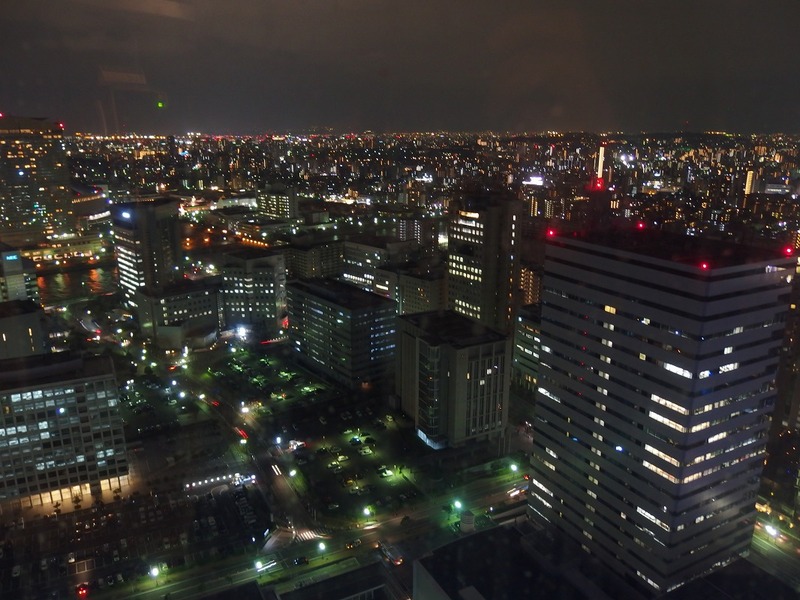 Arrived at 5th floor of observation room by elevator. 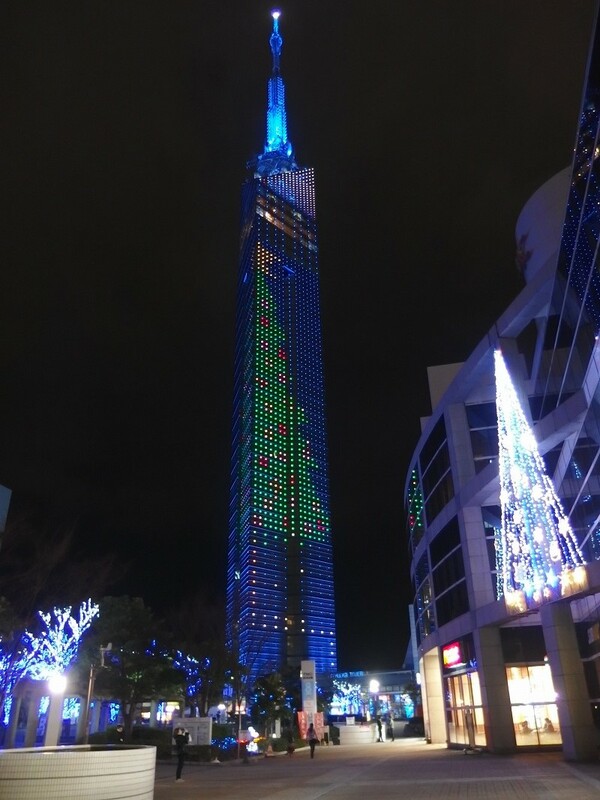 Fukuoka tower is constructed in five parts. 1st floor is the shops, 2nd floor multi-purpose hall, 3rd and 5th floor are the observation rooms, and the 4th floor Sky Lounge(restaurant). 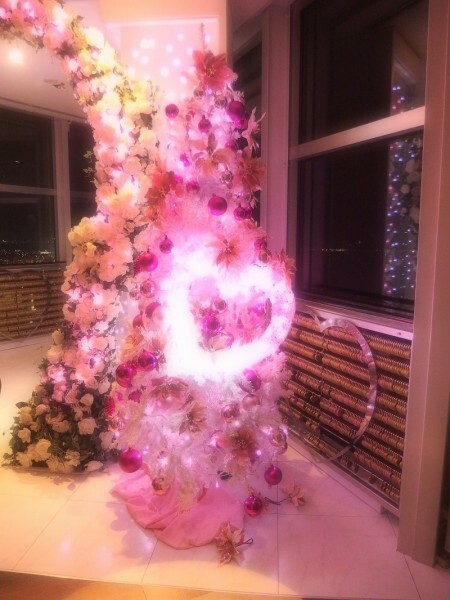 We can overlook the 360-degree panorama from the tower. 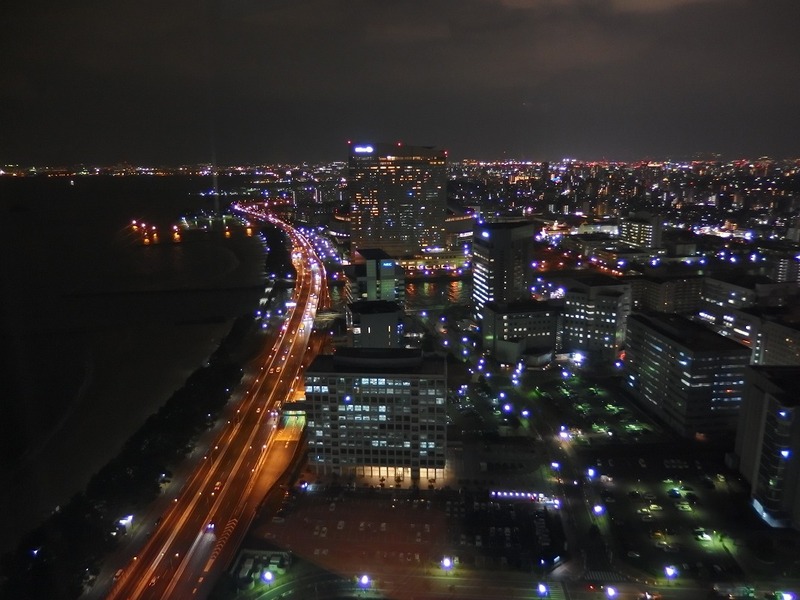 We can see Hakata bay (博多湾) and Sefuri mountains (脊振山系) here, and great views is likely to be expected even during the day. Opening hours: Apr-Sept; 9:30 to 22:00. Oct-Mar; 9:30 to 21:00. Admission fee: Adult (Over high school students); 800 yen. Students; 500 yen. Child; 160 yen. Group and Foreigner; Adult; 640 yen. Students; 400 yen. Check the link below for more details. From Hakata station;　Take a bus from Hakata bus terminal 1F (Next to Hakata station), bus number 306 or 312 at No.5 or 6 platform. It’ll take about 30 mins, get off at Fukuoka tower South entrance (福岡タワー南口). 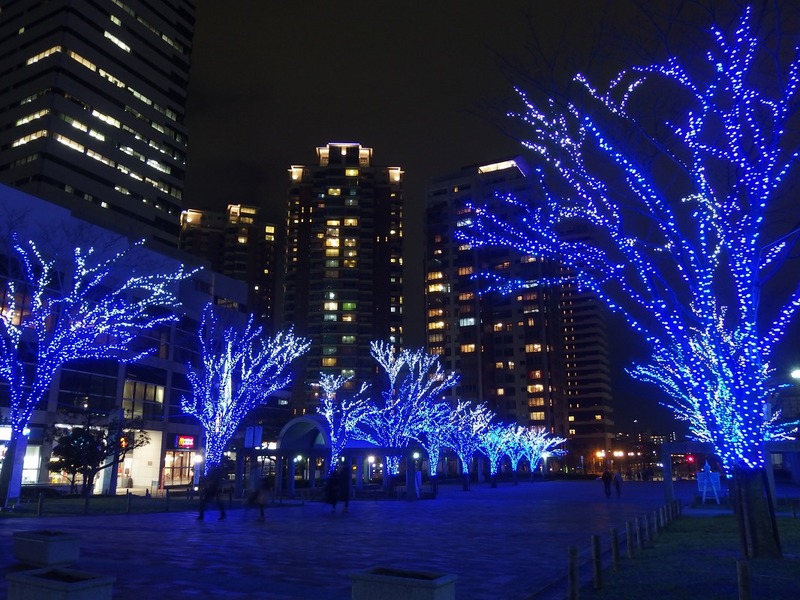 From Tenjin station;　Take a bus in front of Tenjin bus center (天神バスセンター前) at No.1A bus stop. Bus number 302 or W1. It’ll take about 25 mins, get off at Fukuoka tower South entrance (福岡タワー南口) or Fukuoka Tower TNC Hoso Kaikan (福岡タワーＴＮＣ放送会館). It’s not only wisteria, but Autumn leaves are also amazing! Autumn leaves in 2015 at Kawachi Fuji Garden! ← Awesome Autumn leaves in Japan! Visiting Komyozenji Temple (光明禅寺) in Fukuoka.